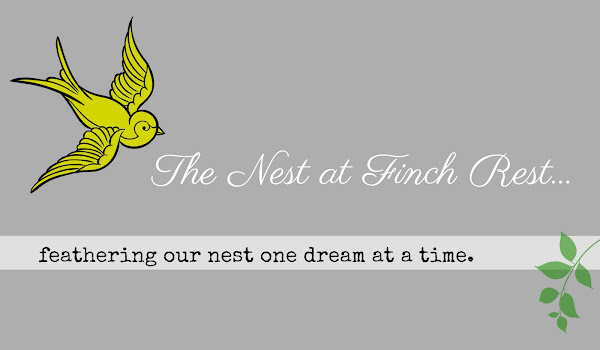 The Nest at Finch Rest: Quick hello! take shape in your lovely homes! because life is crazy busy right now! There's never enough time in a day, is there? to start the season off right! This set is so nice to use all winter. I have been thinking of you and wishing you all well! Oh I see that you had some fun at PicMonkey! So cute! Yes, I'm taking it slow. 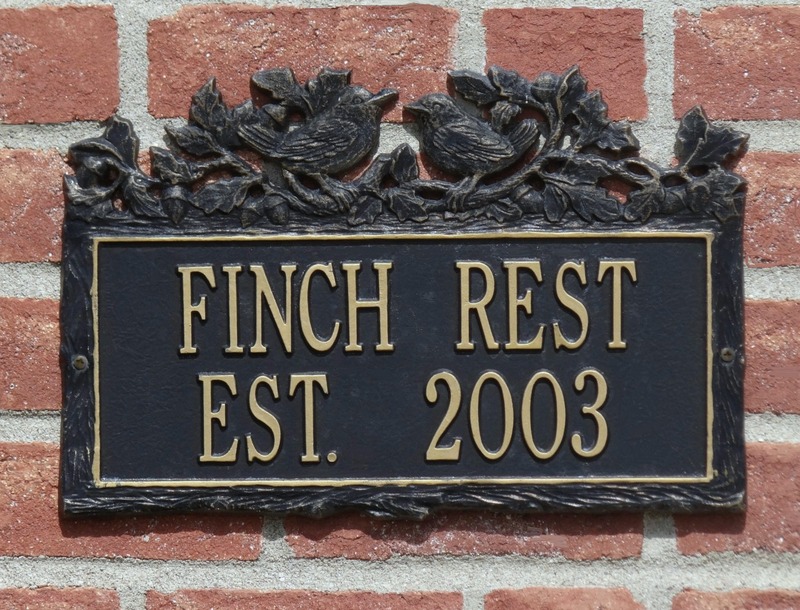 This decorating business doesn't take place overnight. See you later for tea Michele. so festive and pretty.. it sure feels like snow but so far all we have is the chilly weather. Love that cream and sugar a la Pic Monkey! 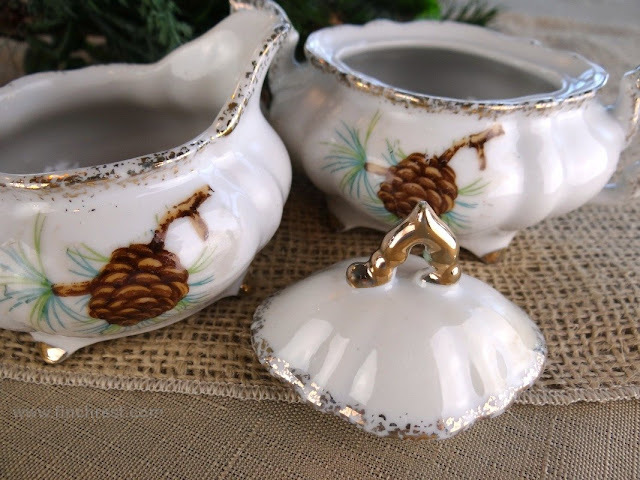 That is one sweet little pinecone sugar & creamer! Oh Michelle! Thats so nice! Great job! Your photo is very pretty! Love it! Oh, lovely-lovely-lovely! I had not thought of collecting wares with pinecones on them ... that would be good for fall and winter, not just Christmas. Hmmm .... you're always giving me new ideas here, Michele! 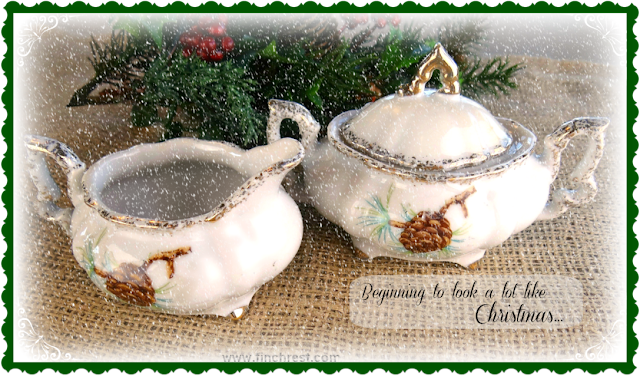 Hi Michele, I love your pretty sugar and creamer set. 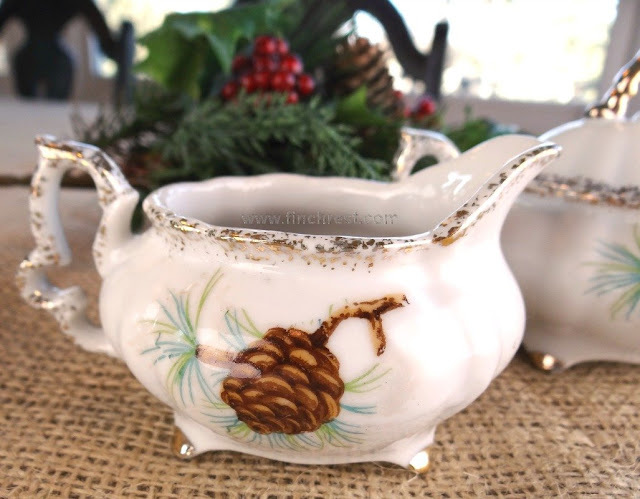 My sweet sister sent me a teapot with pinecones. Have a good week, dear friend. Michele, we got some snow this afternoon and was just beautiful. I like your "playing around" in Pic Monkey and your little snow affect on your picture. I decorated all weekend but am out of town now. Take care.